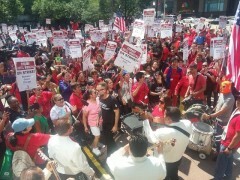 Thousands of striking Chicago hotel workers march on Magnificent Mile | Fight Back! 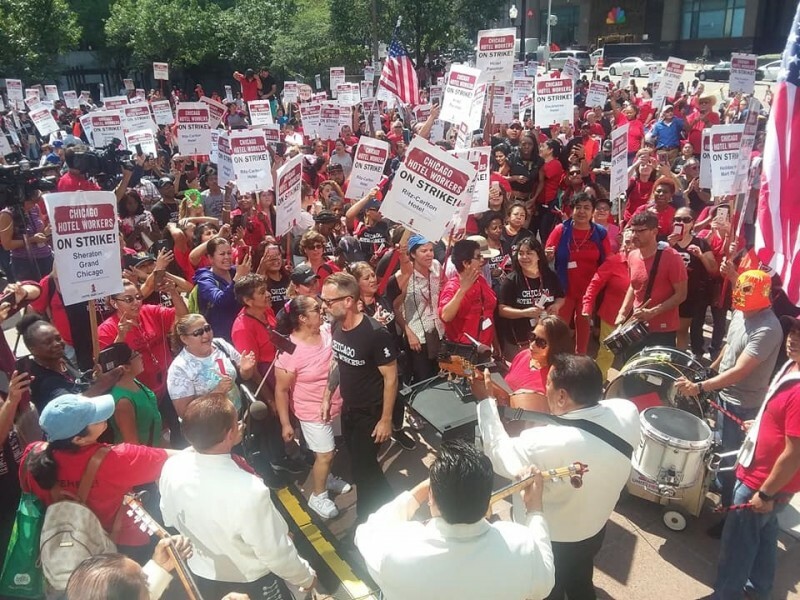 Chicago, IL – Thousands of striking hotel housekeepers, servers, cooks, doormen and other workers marched on Chicago’s famed Magnificent Mile, Sept. 13 to press their demands for a decent contract. Workers from 26 hotels are now out on strike.